It’s the beginning of a 12-day Winter Wonderland photography trip with Martin Bailey, special guest/attendee David duChemin and a group of fellow photography enthusiasts that I am delighted to now call friends. We are a few hours bus-ride from Tokyo in a place called Yamanouchi in the Nagano Prefecture of Japan. It’s snowing; big fat flakes, but too warm for it to settle so it melts as it hits our bodies and we are soaked through before the day is over. These monkeys are smaller than I imagined them to be, and much more amazing in real life than any photographs could portray. There is often a serenity to their faces as they soak in the onsen (hot springs) that reminds me of monks. 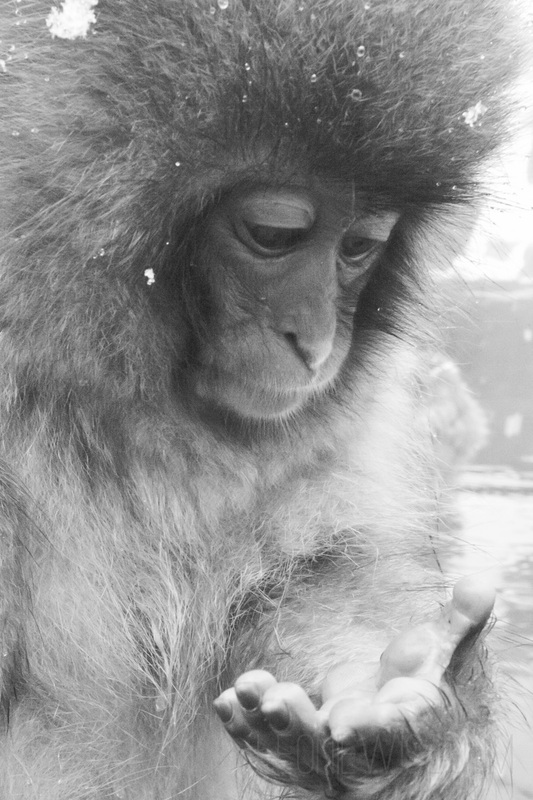 They spend hours grooming each other – like the monkey equivalent of a beauty parlour, but they can be pretty vicious as well. They don’t seem to care too much about all the people around them – I got close enough to one to fill the frame of a wide lens with it so we were pretty much ignored. Some of the adults will snarl if people get too close, and though I’d really love to touch one, that’s definitely not allowed! We stayed in a local ryokan (traditional Japanese inn) and I think it was my favourite of all our accommodations on the trip – it might have had something to do with the fact that my room had an onsen outside and I had more hot baths this trip than I normally have in a year! I was instructed in the proper way for a woman to wear a yukata (a casual style of kimono) and wore them almost every evening for the remainder of the trip. It’s made me look forward to my next trip home to NZ and a visit to some of the hot springs around the country. We have eaten incredible Japanese food, tried a number of different sake and shochu. There’s been laughter and singing, and, in the space of only a few hours, the ‘will they like me?’ nerves have vanished. I’ve never been this cold, or this happy being cold, in all my life. After three great days in Yamanouchi, we are back to Tokyo for a night before an early morning flight to Hokkaido for the remaining days to photograph eagles, whooper swans and red-crowned cranes. This entry was posted in japan, travel and tagged japan. Bookmark the permalink. These photos are so beautiful Leonie! Wow! Gorgeous. 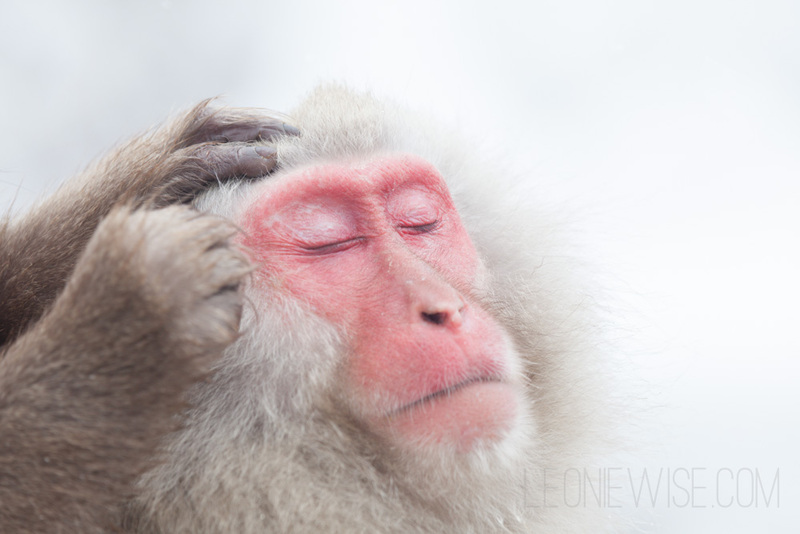 The pinkness of their faces, the softness of their fur, the white snow and those eyes. Wow. 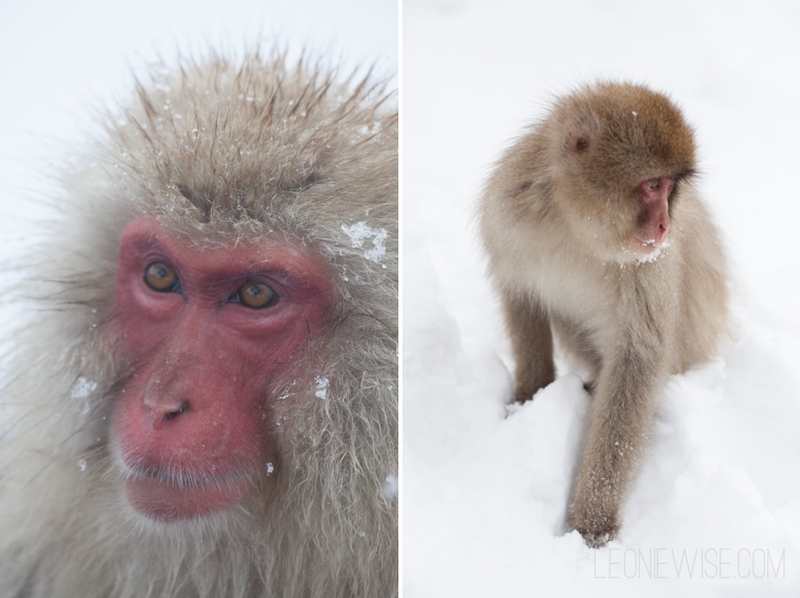 Macaques, eagles, whoopers, red-crowned cranes, … what a wonderful journey. It would be easy to be envious, but my overriding feeling is one of delight that you’re getting to see and photograph (beautifully) these superb animals. what an incredible trip you’re taking…and, wow, what an expeirence! these photos are amazing…especially loving the first. Oh hunny, these are breathtaking. Please make them available for purchase. The first two evoke so much caring and emotion. And oh, those meaty little hands. Wow, just wow. We love Maruia Springs, which is modeled on a Japanese spa. You could go in winter when it’s snowing?